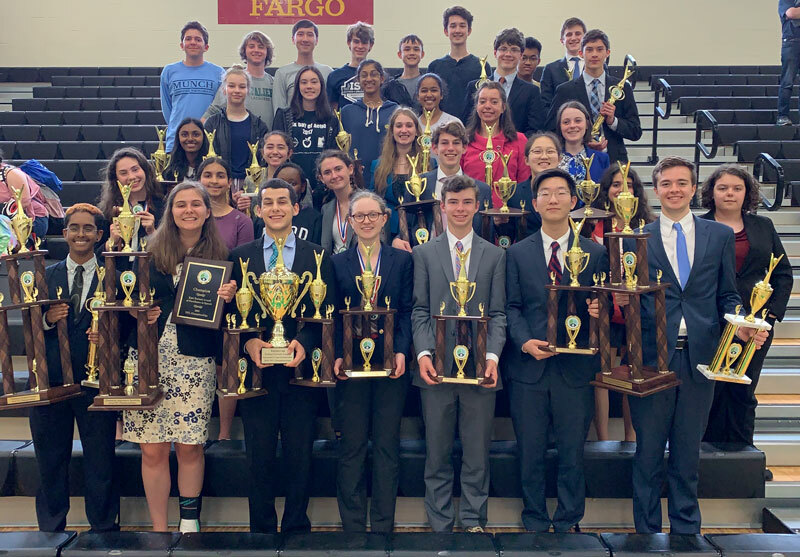 In what coach Crawford Leavoy describes as “an amazing feat” that’s a first in the 15-year history of the Durham Academy speech and debate program, the team was honored with the Kurt Earnest Award of Excellence in Speech at the Tarheel Forensic League State Championship Tournament, where the team was also named overall runner-up for the second consecutive year. The state tournament was held Saturday and Sunday at Charlotte’s Myers Park High School. The DA team missing winning the overall state championship by a mere 1.28 percentage points.